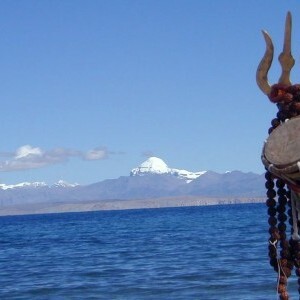 Mt Kailash and Lake Mansarovar tour is an incredible and challenging in western region of Tibet. The Mount Kailash is a holy mountain in Tibet standing on the basin of Lake Manasarovar. Mt Kailash tour is an incredible and challenging tour in western Tibet. The Mount Kailash is a holy mountain in Tibet standing on the basin of Lake Manasarovar. Mount Kailash and the Holy Lake Manasarovar is the two magnificent tourist destinations in the far western corner of Tibetan Plateau. It takes about 4 days on Jeep to reach the dream land of Kailash. It is possible to trek from Simikot for a week to reach. The extremely beautiful lake with the floating swans and the spectacular mount Kailash are respected place for both Hindus and Buddhist. For Hindus Mt Kailash is the abode of Lord Shiva. Four great rivers originate from Lake Mansarovar – the Indus, Karnali, Brahmaputra and the Sutlej. Kailash is the home of Lord Shiva. Mt Kailash 6741 m, is a black mountain with four sheer walls and snow-capped top. 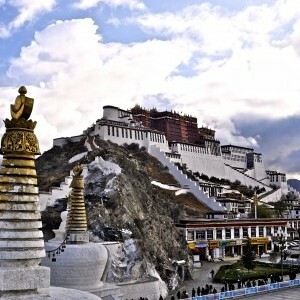 The 53-km periphery is the trail for circumambulation around this holy mountain and takes 3 days. The Kora or circumambulation starts at Darchen some 30 Km from lake Manasarovar. During this tour, we enjoy great view of world's highest mountains, meet the nomadic sheep herders and enjoy the unique beauty of Tibetan desert.